In Years 7 and 8, students are given varied experiences in The Arts Learning Area. Year 7s rotate through Music, Drama, Photography and Visual Art in terms 1 and 2. In terms 3 and 4, they choose which two of these subjects they would like to study further. 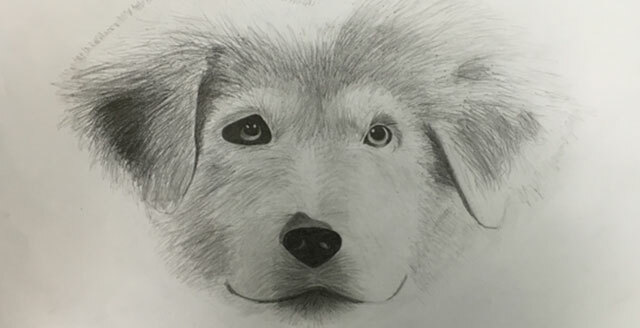 In Year 8, students choose one Arts subject per semester; students have the option to study one subject for the whole year, or to study two different subjects. Music at Bridgetown High School gives the opportunity for students to become independent musicians and develop the confidence to perform in public. Students perform in a range of events throughout the year such as end-of-term assemblies, Blues at Bridgetown, and other, smaller community events. Our Music programme consists of a mix of theoretical and practical components, with students spending much of their time learning and perfecting songs for performance. To encourage engagement most of the songs are chosen by students themselves, with guidance from the teacher. The Rock and Blues genres are emphasised the most, however other genres such as Pop, RnB, Rap, Metal, and Country are also explored. Our Music students are equipped with the skills to form bands and work together as a team. The aim is for our students to enjoy Music and develop lifelong skills. The Drama programme at Bridgetown High School allows students to study a variety of theatrical forms and styles. They begin in Year 7, exploring the basic principles of improvisation and the way in which Drama aids in building confidence, self-esteem and imagination. Students learn about the importance of warming up their bodies and voices and begin to develop an understanding of the physical requirements required to be a strong performer. In Years 8-10, students will have the opportunity to develop their performance skills in a variety of forums. Year 8 students refine their improvisation skills with a unit of Theatre Sports. They then work on play-building; selecting, writing and developing scripts. This hard work always culminates in a performance. 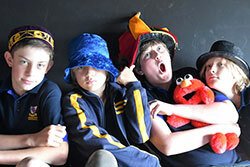 In Years 9 and 10, students continue to develop their acting and play-building skills. They explore modern theorists such as Laban and Brecht, and use their new skills to aid in performance. At Bridgetown High School we have a beautiful new theatre space, complete with new state of the art lighting and sound equipment. This allows our senior students to familiarise themselves with the technical elements of theatre and stage management. Students interested in this aspect of Drama are given the opportunity to select an area of interest backstage, and take on such roles as wardrobe, lighting and sound operation, and set design/construction. 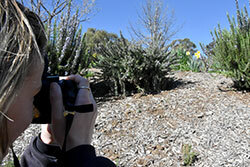 Photography students at Bridgetown High School are encouraged to develop strong awareness and understanding of the fundamental photographic elements of composition. All projects throughout the school year focus on creativity, planning and self reflection. Students utilise up to date Nikon digital SLR equipment to experiment in team and individual photo shoots. From bush walking excursions to photograph wild orchids to in class staged lighting live portrait model shoots Photography students have a wide array of project opportunities to immerse themselves in. Bridgetown High School embraces and encourages student creativity. We offer a variety of disciplines such as ceramics, painting, drawing, print making, textiles and sculpture. Within our Art programme, students learn to communicate their ideas through different processes whilst building their artistic skills. Students analyse work of famed artists, but also learn to reflect on their own practice. Each art project is designed to develop critical thinking and shape social values but most importantly, the Art classes at Bridgetown High School are engaging, inclusive and fun!